Electric Bike sales grow as gas prices continue to be artificially inflated to increase profits to greedy fossil fuel corporations. As fuel prices skyrocket at the pumps, the extreme risk to our environment from the extraction, shipping and use of fossil fuels grows worse. City traffic congestion continues to increase as available parking spots continue to decrease. The great news is that there’s a solution to all these issues! Electric bikes (also known as e-bikes and EBs) are a superb option for city commuters to consider. They are also awesome for rural areas, and for rough terrain for those who like to live on the edge! E-bikes save owners hundreds of dollars per month on fuel and insurance. They also reduce a lot of pollution – making cities greener, and provide riders with a ton of fun. 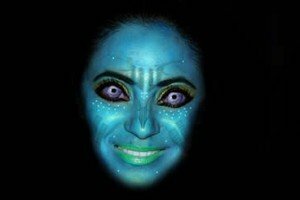 Gone are the days of sweating, grunting, and arriving at work looking like you just completed an obstacle course. Ride in comfort and style. 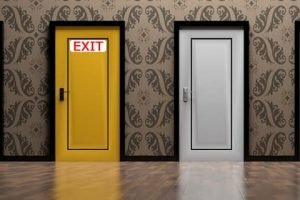 And forget about expensive vehicle insurance, graduated driving programs, being ripped off at the gas pumps, or finding and paying for parking spots ever again. E-bikes are pleasantly quiet, and require no petro-fuel, so produce no noxious emissions or fumes. When it comes to parking, a lot of EBs can be parked in the space that’s taken up by just a single car. E-bikes will seriously eliminate a lot of traffic congestion, and make getting to and from places fun again. When it comes to affordability, on average a monthly city bus pass runs around the $850.00 a year mark. Then you have to stand and wait, often with people you’d really rather not be around, in weather you’d rather not be waiting in. For just a few dollars more, you could be on an e-bike from door to door, the way you want to go, and when you want to go. E-bikes also make cycling possible for many who cannot ride a “normal” bike due to health issues. An awesome article by Average Joe Cyclist about 3 seniors who regained their health with electric bikes proves just how beneficial owning an electric bike can be. E-trikes are also great option to much more expensive scooters with four wheels. Because of their size, light weight and agility (compared to motorcycles and powered scooters), EBs can also go places that no other vehicles can. This allows riders to take shortcuts and scenic routes to replace the drudgery of normal traffic. Being able to take more direct routes also saves commuters huge amounts of time and frustration getting to and from work. Most urban centres today feature great networks of paths, trails and designated bike lanes that make getting around effortless, healthy and super fun. It has never been so inexpensive, easier, or safer to get almost anywhere. Oh, and if you run out of fuel (battery), you can just simply pedal your way home. Try that with a car or motorcycle. Because new routes can be taken, e-bikes can also really boost business for retailers and food outlets off major traffic routes. In the near future we look forward to individual solar panel and wind chargers being available for e-bikes, and whole recharging bike racks that get power from above and/or the electrical grid all over town. After all, cities are putting in vehicle plugs already, why not ones for bikes too (for a LOT less money)! We imagine it wouldn’t take long for coffee shops, fast food outlets, and small retailers to start offering free customer charging. Rain or shine, EBs are simply divine! In fact, we at the Northern Star believe electric bikes are the future choice for a majority of city commuters. The switch will eliminate millions of tons of carbon, and whole cloud banks of pollution that are currently smothering cities around the world, which grow worse by the day. For those who are sick and tired of the costs and hassles of a vehicle, but don’t like public transportation, e-bikes are the only way to go. There are now electric bike conversion kits available that make any bike into an electric bike for just a few hundred dollars. And to sweeten the pot even further, there’s a ton of amazing cycling accessories and gear is available to outfit you and your electric bike for all terrain and weather conditions. 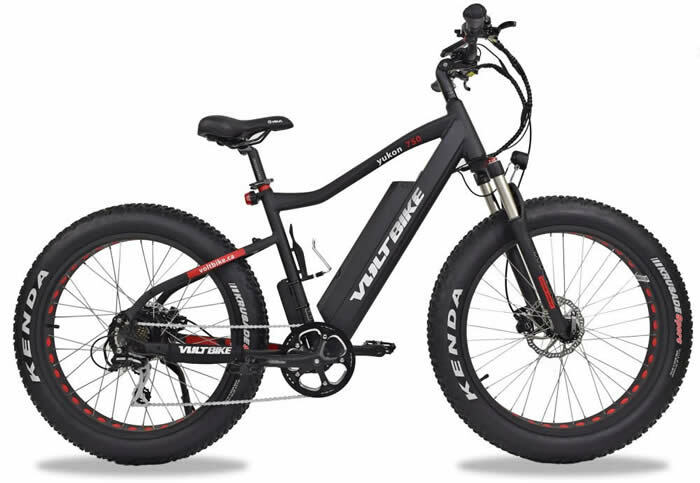 For affordable, well built e-bikes, we recommend consumers check out Voltbike electric bikes. They have awesome lines of ‘fat-tire’ EBs that provide superb traction, a comfortable ride, and super stability. They offer lightweight folding e-bikes (for easy carrying and storage) that start at just $1,499.00 (watch for sales). They have a travel range of 25 km on throttle-only use (45 with pedal assist) before needing a charge. Their new Yukon model incorporates the best of the best EB technology and retails for just $2,199! Voltbike’s Enduro model represents the pinnacle in the evolution of electric bike performance, driving both pleasure and versatility. Voltbike offers shipping anywhere in Canada for just $49. Even better, if you buy two at a time, the second one’s shipping is free! Voltbikes are delivered completely assembled, so no tools or mechanical skills are needed! 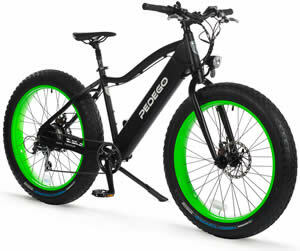 Pedego Electric Bikes is another awesome company to check out. Pedego is pretty much the current Rolls Royce of EBs. Their ‘Interceptor’ model ranges from $3,795-$4,690 depending on options. For those who want only the best, check out the soon to arrive $6,395 ‘Conveyor’, said to be a bike commuter’s dream machine. The Conveyor will integrate the latest technology with practical features for everyday use. Pedego electric bike’s style is delightfully Euro-retro, and the quality is par none. The power and range are unequaled, and the fun that they provide users is absolutely priceless! Pedego customers can choose from 18 awesome models, and from fabulous colors! 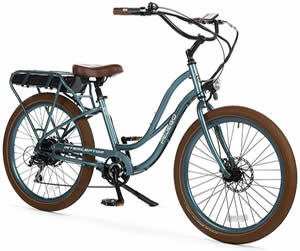 Pedego electric bike models come with or without fat-tires, and offer a wide range of features. They offer extended length (for kids and cargo), folding versions, tandem (two person), and for those with balance issues, there are very cool adult sized e-tricycles (e-trikes)! How Far Can Electric Bikes Go On A Charge? 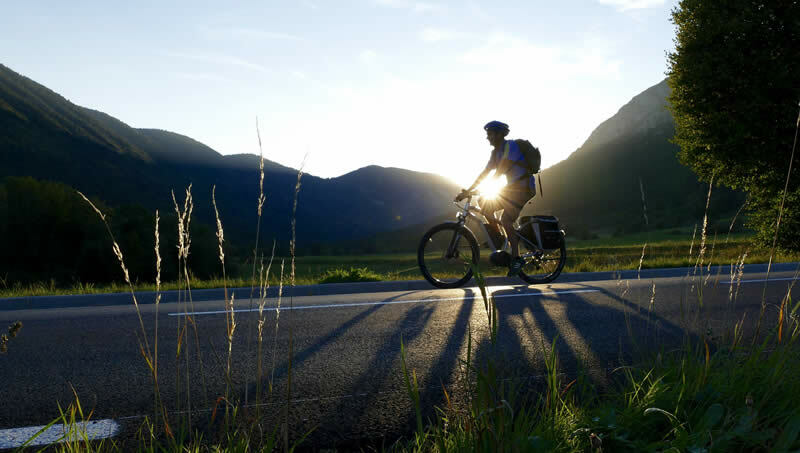 The distance that electric bikes can travel on a charge varies between 25-100 km, depending on many factors. The battery size and type, rider weight, terrain, weather, speed, and level of pedaling all affect battery life. Riding up steep hills, and/or against strong winds depletes batteries faster. Pedaling the bike does not recharge batteries, but it does reduce the power drain, extending battery life. How Long Does It Take To Recharge Electric Bike Batteries? Recharging e-bike batteries average from 2-6 hours, depending on how low the level is. They require only a standard electrical wall outlet to plug in, allowing you to recharge them while you work. There are also portable battery recharger packs available, making it possible to recharge an electric bike battery virtually anywhere! How Much Do Electric Bikes Weigh? Anyway you look at it, electric bikes are an awesome alternative to gas guzzling vehicles. We urge everyone to think outside of the vehicular box, and make the future way more fun and healthy.